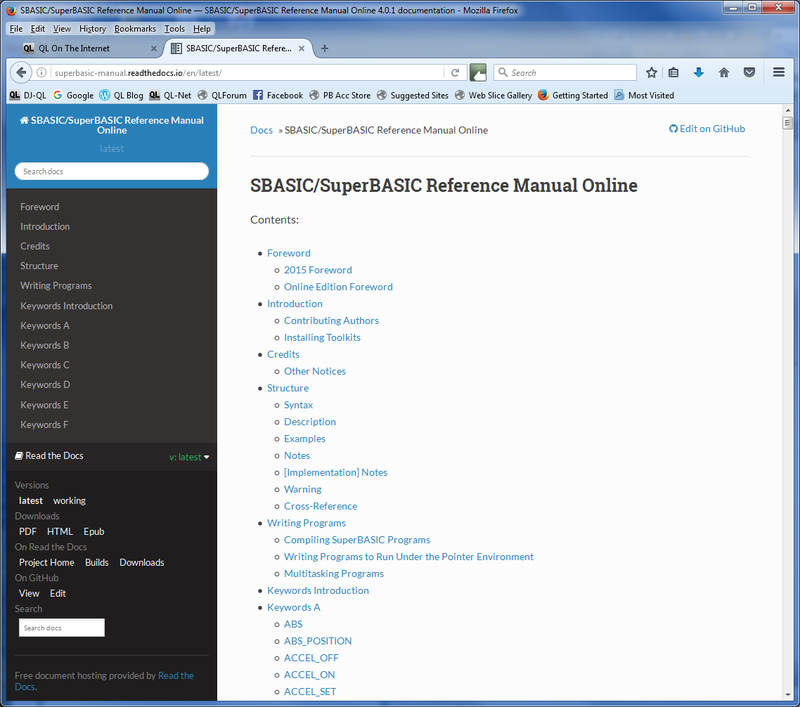 I’ve done some more work on the SuperBasic Online Manual. Some of the introductory chapters and appendices had formatting errors in that lines of code were rendering as plain text. These have been fixed. I also took the liberty of adding DJToolkit version 1.16, the latest version, to the manual. Well, if I can’t blow my own trumpet …..
As usual, the build is automatic and there is html, pdf and epub files to download if you want your own local copy. This entry was posted in News and tagged SuperBASIC Manual on 02/03/2017 by Dilwyn.